Pediatrician serving the North Charleston/Summerville, SC area. Walk-in sick visits always available during our office hours. Serving your children's medical needs 7 days a week. 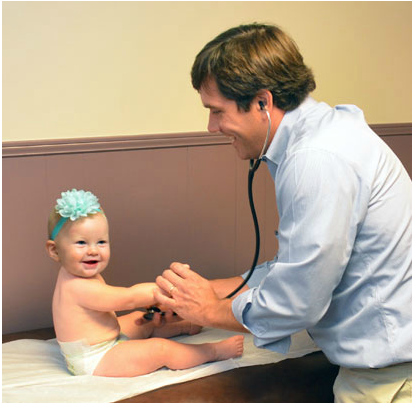 Palmetto Pediatrics has been serving the greater Charleston and Summerville communities since 1975. Our practice consists of board-certified pediatricians committed to the care of pediatric patients from birth through the adolescence. 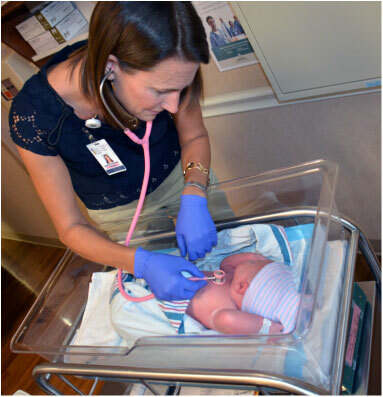 We see patients and newborn babies at both Summerville and Trident Hospitals. The goal of our doctors and staff is to make your healthcare experience as pleasant and easy as possible. We have short wait times and friendly staff. We are located next to Trident Hospital on University Blvd in North Charleston. Click Here to see our map and more contact info. We allow our patients special hours to walk in without an appointment. A personal physician is always on call 24/7. ​Our Pediatrician's Office is located ﻿right off I-26﻿ with plenty of close parking. Walk-in urgent care visits welcome all day during our office hours. We can also make appointments during lunch hours. Unfortunately, children don't schedule their sickness a week or so in advance; sometimes illness can come on rapidly, which is why our pediatrician operates a "no appointment" system at their North Charleston, SC, practice. Alongside a comprehensive menu of standard pediatric services, including child vaccinations and children's flu shots, we also provide urgent care pediatrics for any sick child that needs prompt medical attention in order to facilitate a rapid recovery. Our skilled team provides everything from the services of a newborn pediatrician right through to adolescent care. Whether you have a healthy child and want reassurance that they're developing normally by taking advantage of one of our children well visits, or have an ill child that needs same day attention, our experienced team of pediatric professionals can help. The service is available seven days a week, and we also offer 24/7 healthcare provider call coverage. In addition to prescription services, we also offer a wide range of other treatments and interventions which give every child access to appropriate care exactly when they need it. From dressings and bandages for a nasty scrape or fall to treatment for sick children and preventative health care, our friendly, experienced team offers everything your child needs to enjoy optimal well-being. Because we provide a full range of services, there's no need to try and juggle appointments between several different providers; use us to meet a large number of your child's healthcare needs. We have been serving families in the local community for over 40 years, providing an accessible service for all. We pride ourselves on our no-appointment option for sick children and do everything we can to ensure your child receives expert medical attention in a timely manner. To find out more about our nursery coverage services and other provision, call us now at (843) 212-2008.